Enhance your rehabilitation program with this authoritative volume. Experts from the Department of Physical Therapy of Duke University Medical Center in Durham, North Carolina, explore the most current developments in cardiac and pulmonary rehabilitation. 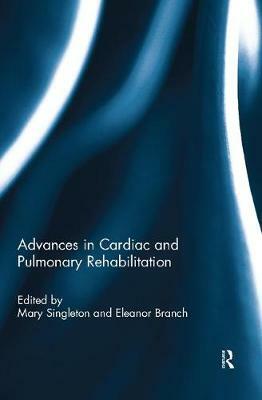 Reading this highly practical volume will provide you with insight into the current status and future trends of pulmonary rehabilitation, supply you with rationale and supporting data for physiological and psychological mechanisms that seem to influence the pulmonary rehabilitation process, and illustrate the successes of both a hospital-based and a community-based pulmonary rehabilitation program. Valuable chapters on the physical therapy interventions required by and designed for coronary bypass surgery patients and heart transplantation patients will offer you additional useful information. Advances in Cardiac and Pulmonary Rehabilitation is an ideal resource for professionals, including physical therapists, who are or who wish to become, involved in the care of patients with cardiac or chronic pulmonary disorders.